(Reuters) – U.S. Army soldier Chelsea Manning, who is serving 35 years in prison for passing classified files to WikiLeaks, attempted suicide last month for the second time, her attorney said on Friday. Manning attempted suicide on Oct. 4, at the start of her stay in solitary confinement for attempting suicide the first time in July, said lawyer Chase Strangio, from the American Civil Liberties Union. An Army spokeswoman declined to immediately comment. Manning, 28, who is held at the Fort Leavenworth, Kansas, military prison, is a transgender Army private who was born male and revealed after being convicted of espionage that she identifies as a woman. She tried to take her own life in July after what her lawyers said was the Army’s denial of appropriate healthcare. 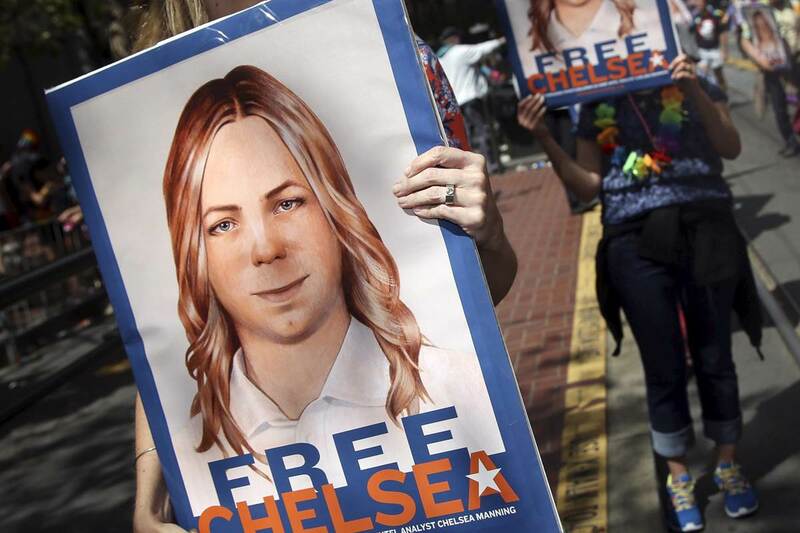 Strangio in a statement on Friday said authorities have refused to “adequately treat her gender dysphoria” and criticized the sentence of several days in solitary confinement that was imposed on Manning. “She has repeatedly been punished for trying to survive and now is being repeatedly punished for trying to die,” Strangio said. She has been returned to the general population section of the prison, Strangio said. Manning has been a focus of a worldwide debate on government secrecy since she provided more than 700,000 documents, videos, diplomatic cables and battlefield accounts to the anti-secrecy group WikiLeaks. Among the files Manning leaked in 2010 was a gunsight video of a U.S. Apache helicopter firing on suspected Iraqi insurgents in 2007, an attack that killed a dozen people, including two Reuters news staffers.